High Fees, Dud Funds, Poor Perf? Get an Investment MOT. You are a UK-based investor with non-property investment portfolios totalling from £500,000 to £5m (typically held in your ISAs, pension and personal name). 1. Are you at all worried that you may be paying out too much in unnecessary fees and charges on your investments? 2. Are you ever concerned about hidden risks which you’re not aware of lurking within your current investments? 3. Do you sometimes sense that your advisers or the fund managers of the funds in which you are invested may not be giving you the whole picture? Above all you want to get an independent health check for your portfolio which doesn’t ask you to consider moving from your adviser but will put your mind at rest that your investments are on the right track. 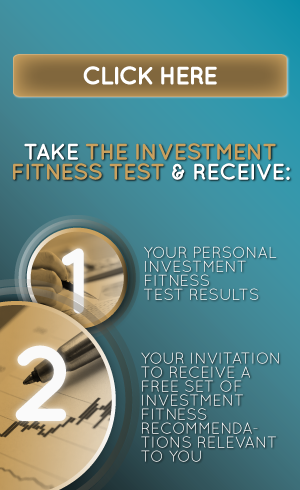 Click here to take our free investment fitness test now.